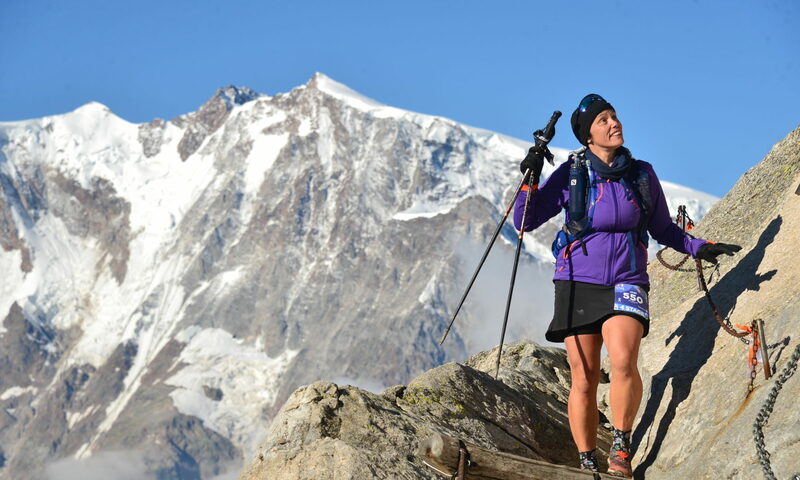 It was always going to be a long day – 46k, more than 2000m of climbing and a guide book estimate of 14.5 hours of non stop walking. I was (overly) confident I could do it in much less. Today’s soundtrack was clearly going to be ‘mud, glorious mud’. It was a challenging first few hours of mud. Then we met my other nemesis – snow. I am not a fan of snow! I go out of my way to avoid winter entirely and succeed most years. 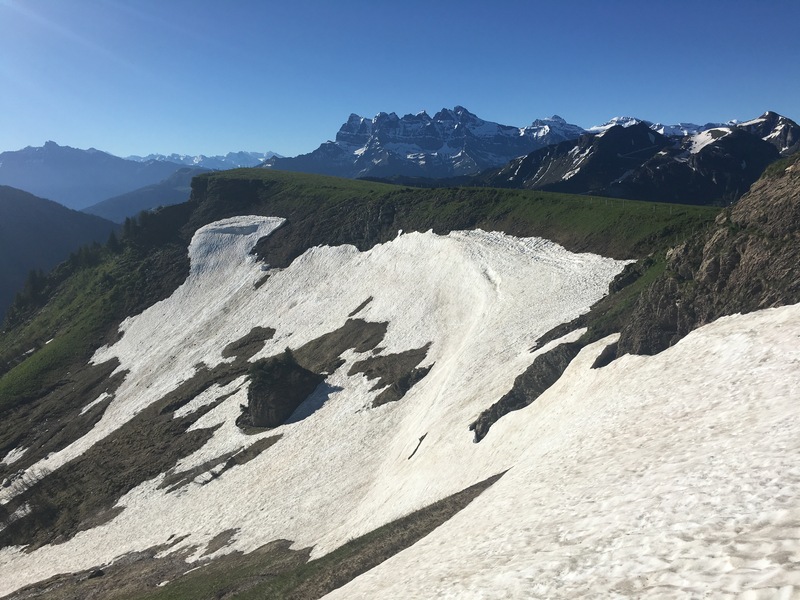 And I am ok with snow in the Alps – it makes the mountains look pretty – but am less thrilled with it when it covers the trail and markings and you haven’t the foggiest where to go. It’s ok if it is a small bit, but I encountered this monster around 10am, and did the only sensible thing a girl who is scared of heights could do – I crawled up the side of it on my hands and knees on the rock face – it’s steeper than it looks. The snow was also responsible for some major navigational booboos…. 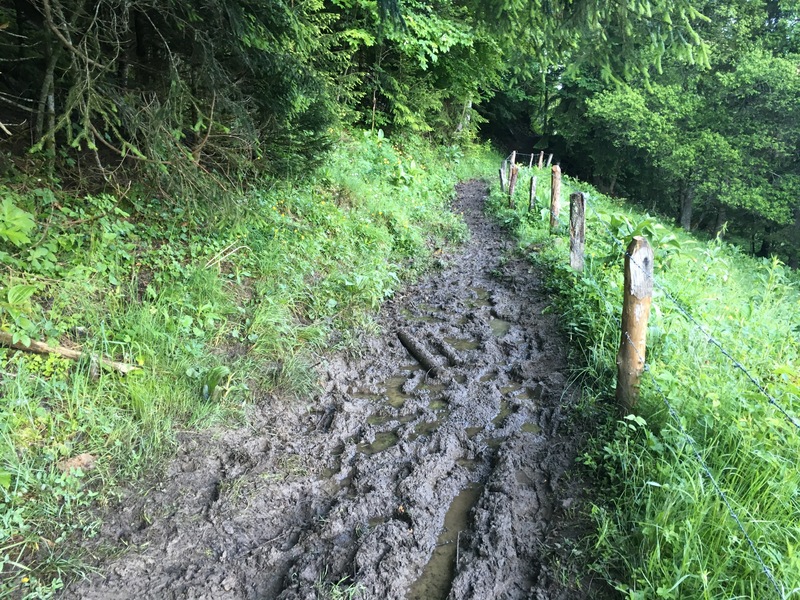 It is hard to follow the trail when you can’t find it – and I lost it a few times today. 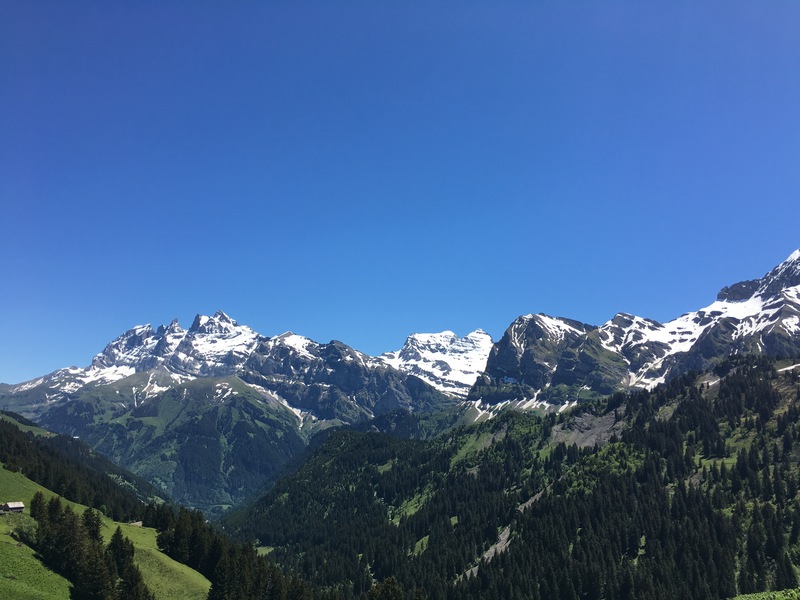 The views were stunning and it was a wonderful days walk, in spite of the quad busting/knee crushing final descent into samoens. I was on my feet for a total of 10.5 hours with only a brief lunch stop – I was too scared to stop in case everything seized up. Am now lying on floor with legs in air trying to sort my calves out! 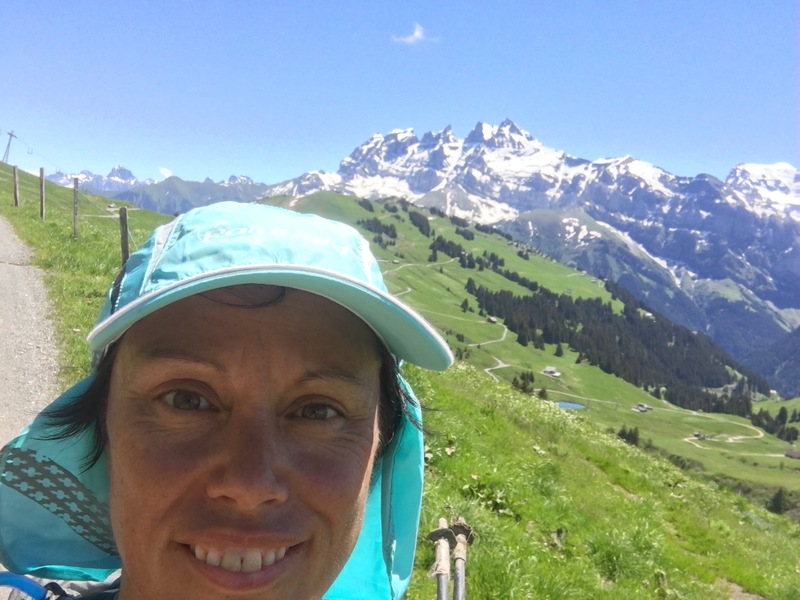 Next PostNext GR5 Day 2 – My life flashing before my eyes!